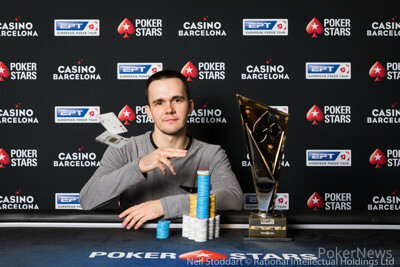 Mikita Badziakouski has won the PokerStars European Poker Tour Barcelona €100,000 Super High Roller, defeating Ahadpur Khangah heads-up to win €1,650,300. With nine left at the start of the day, the tournament raced towards a winner, with less than four full levels being played before Badziakouski emerged victorious. This may only be the third biggest cash of his career (and of this year!) but it represents his first EPT High Roller victory after close calls in Malta, Monte Carlo, the PCA and previously in Barcelona. Badziakouski’s win tops an incredible year for the Belarussian. Over the last six months, he has risen from 119th on the all-time money list to 28th and will rise a further six spots after this victory. To put that into perspective, only one player (Justin Bonomo) has won more playing tournament poker in the last six months than Badziakouski. 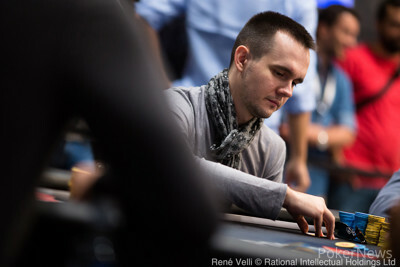 Badziakouski said that his heads-up opponent Ahadpur Khangah was “really impressive” at the table. This result constitutes Khangah’s biggest poker win by far and will boost him to second in Iran’s all-time money list behind Iranian bracelet winner Amir Vahedi and ahead of fellow High Roller regular Ali Reza Fatehi. Nine players returned, but only seven players would cash and the extended bubble continued with early doubles for Timothy Adams and Benjamin Pollak before the first elimination of the day saw Cary Katz bust in brutal fashion. Katz moved all in with pocket queens against the king-ten of clubs of overnight chip leader Matthias Eibinger. The flop gave Katz top set, but Eibinger went runner-runner to river a flush and bust the American. 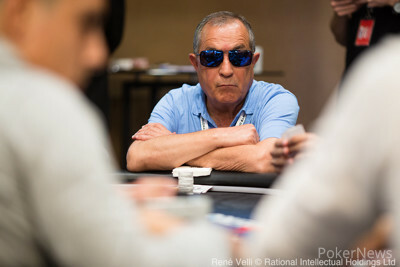 The €100,000 Super High Roller went from two Americans to none before the first level of the day, as Byron Kaverman also fell victim to Eibinger. Both players flopped a pair of eights, but Kaverman held the better kicker. Unfortunately for him, Eibinger turned two pair and the board bricked out to eliminate Kaverman, bursting the bubble. 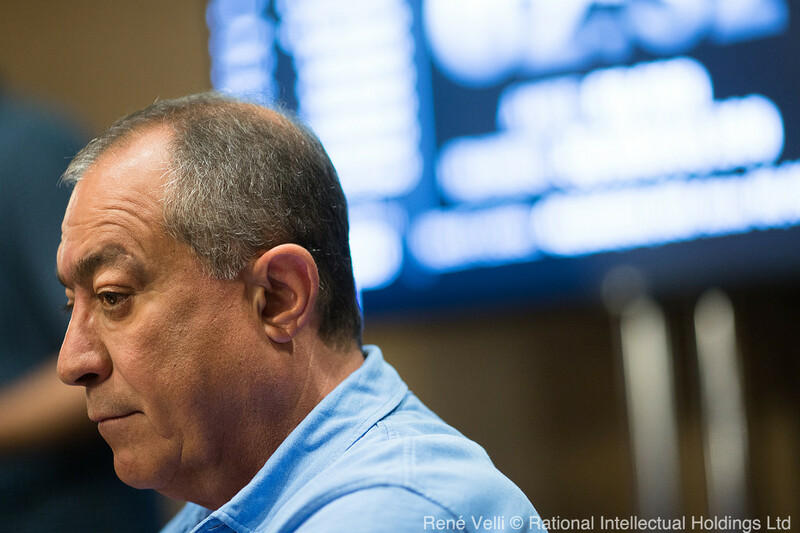 With the remaining seven players now all guaranteed €275,050 it didn’t take long for players to start making do-or-die moves; Jean Ferreira ran ace-jack into the kings of Ahadpur Khangah to bust in seventh, then Rui Neves Ferreira shoved queens on a king-high board only to be called by Khangah holding king-queen for a pair of kings. 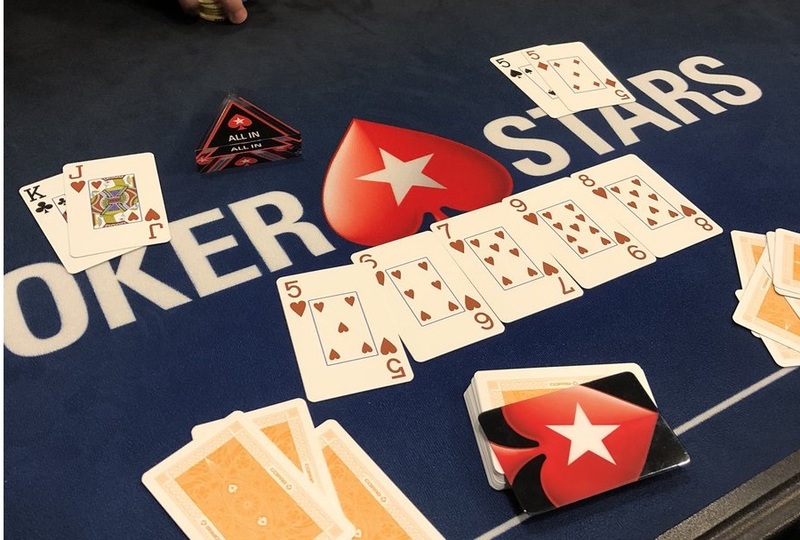 There was a jaw-dropping moment a short while later after Pollak and Khangah chopped up an all-in when a straight flush presented itself on the board. A few hands later, however, Pollak would fall. Again, it was Eibinger on hand to crack the ace-jack of the Frenchman with eight-six suited; Eibinger flopped an eight and rivered a six to eliminate Pollak in fifth place. It appeared that Eibinger wouldn't be stopped, and when Adams moved all in with pocket eights against king-queen of clubs, Adams needed to win a flip to stay alive. However, the flop came all clubs and the turn and river were both kings – bad news for Adams whatever way you look at it, and he departed in fourth. This elimination left Eibinger with over half the chips in play as we approached the first break of the day. Earlier in the day, Badziakouski had doubled through Eibinger when tens held against ace-queen. However, now it would be Badziakouski holding the ace-queen against Eibinger's tens. “Last time tens won,” said Badziakouski perhaps sensing another elimination at the hands of Eibinger. This time it was different, however, with an ace on the turn meaning Badziakouski and Eibinger were level in stacks, with Khangah in third place. 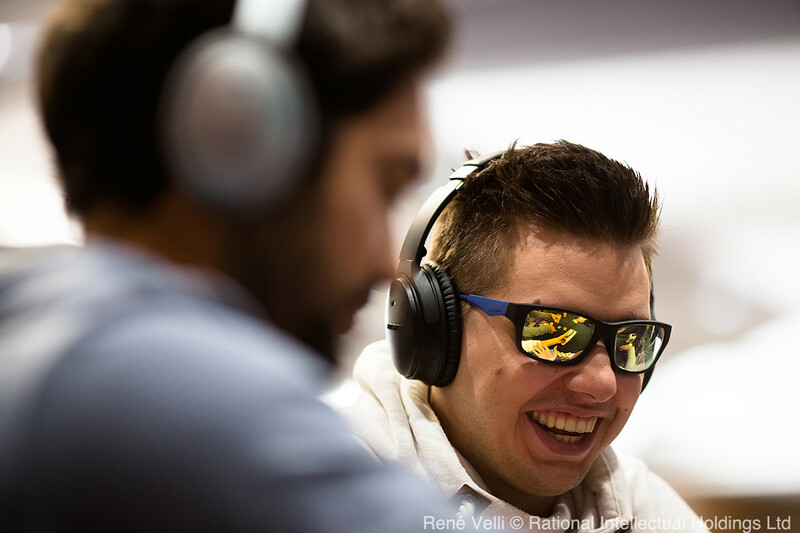 With the blinds growing, the big blind ante began to have more of an effect three-handed. The chip lead moved around between Khangah and Badziakouski, with the former moving into a commanding position after a series of aggressive moves. But sometimes in poker, timing trumps aggression. Badziakouski picked his spots and managed to get Eibinger on the ropes. Eibinger got his last chips after flopping two pair against the single pair of Khangah. Eibinger had been responsible for his fair share of coolers, and now Khangah would dish out one of his own. The turn gave Khangah a better two pair and Eibinger was eliminated; the cooler had become the coolered. Heads-up started equal between Badziakouski and Khangah, but Khangah would move into the lead after rivering quad jacks and getting paid. However, the pivotal hand came when the Iranian called three streets with a turned top pair only to get out-kicked by Badziakouski. 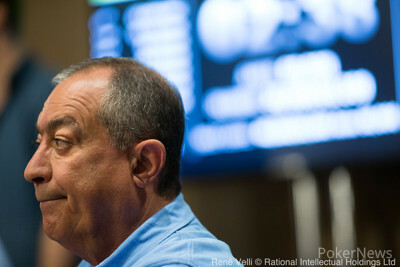 A few hands later Badziakouski had done it; turning two pair to best the Iranian and walk away with his fourth seven-figure score in four months. Ahadpur Khangah limped pre-flop and Badziakouski checked the big blind. The flop came and Badziakouski check-called a bet of 300,000. The turn was the . Badziakouski checked and Khangah bet 700,000. Badziakouski moved all in putting his opponent to the test and Khangah called. Badziakouski had turned two pair, and the river could not save Khangah who would have to settle for second place and a €1,650,300 payday. Ahadpur Khangah limped on the button and Mikita Badziakouski raised to 350,000. Khangah called. The flop came and Badziakouski bet 200,000. Khangah called. The turn was the . Khangah checked out of turn, and Badziakouski bet 900,000. Khangah snap-called. The river was the . For the second street in a row Khangah checked out of turn and Badziakouski unloaded, betting 2,000,000. Khangah snap-called. Badziakouski turned over for top pair, and Khangah showed for top pair but an inferior kicker as Badziakouski moved to around ten million in chips. Mikita Badziakouski raised to 250,000 and Ahadpur Khangah called. On a flop, Khangah checked to Badziakouski who bet 150,000. Khangah then check-raised to 700,000 and Badziakouski called. The turn was the . Both players checked. The river was the . Khangah flung 800,000 into the middle and Badziakouski took his time before calling. Khangah showed for quads while Badziakouski turned over for a full house before mucking his other card. On a flop Ahadpur Khangah checked to Mikita Badziakouski who bet 300,000. Khangah check-raised to 900,000 and Badziakouski folded. Then in a limped pot, Khangah check-called 120,000 on the flop. The turn was the and both players checked. The river was the and Khangah check-called 200,000 and showed . Badziakouski showed and took down the pot. The players are going on a short unscheduled break. Ahadpur Khangah limped on the button, Mikita Badziakouski called in the small blind and Matthias Eibinger checked his big blind. The flop came . It checked to Khangah who bet 400,000. Badziakouski folded and Eibinger check-raised all in for 1,500,000. Khangah called. Eibinger had flopped two pair and looked to be heading for a double up. However, the player who had been responsible for several coolers already was about to get coolered as the came on the turn giving Khangah a better two pair. The river was the and Eibinger was eliminated. Matthias Eibinger opened to 250,000 and got called by Ahadpur Khangah. 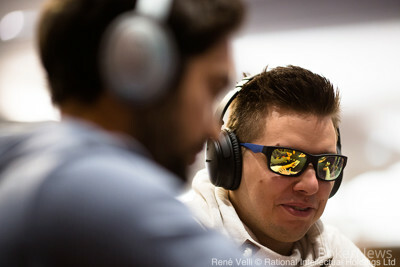 Mikita Badziakouski was in the big blind and moved all in as the big stack at the table. Eibinger quickly folded and Khangah tanked before folding face up. Badziakouski showed and took down the pot. Nine Left; Seven Cash - But Only One Winner!